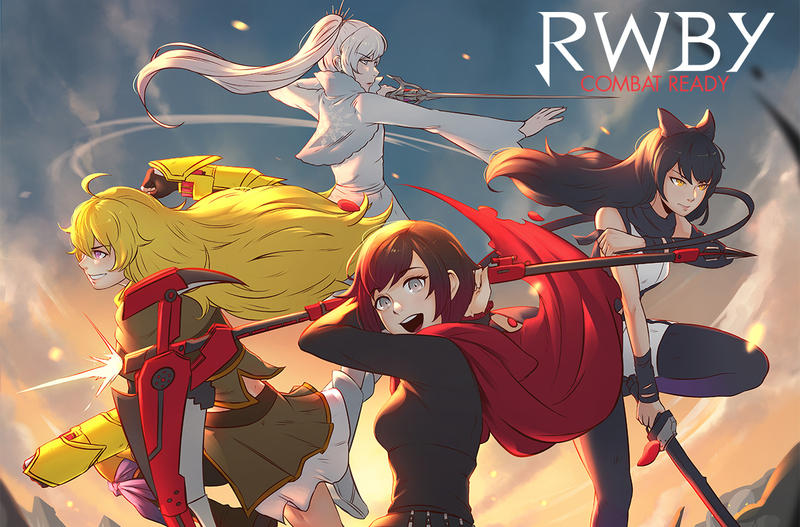 Join Adam and Drake as we take a look at the new tactical skirmish game based on RWBY, the popular anime by Rooster Teeth. 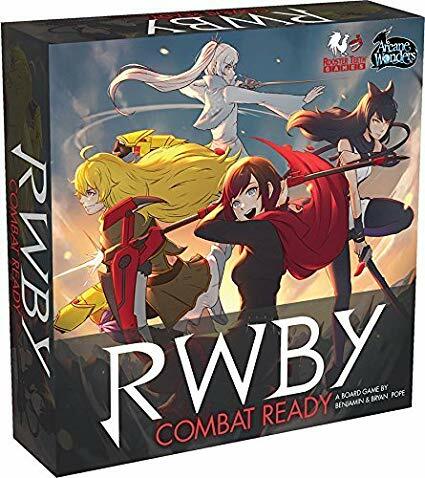 RWBY: Combat Ready is a cooperative scenario-driven combat card game with variable player powers and deck building “level-up” mechanics. 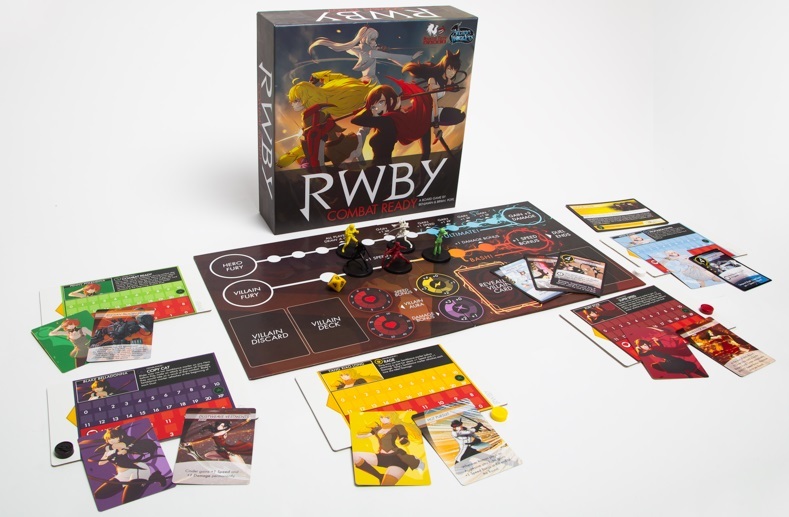 As RWBY: Combat Ready is a scenario driven game, it’s hard to pin down exactly what the objective is, since it will change within each scenario. The game somewhat revolves around duels. Throughout the game, each player will take the focus of the battle and take the lead on several turns, with the other Sideline players aiding where they can. Once the villain’s Fury reaches its max, the duel ends and new rounds starts with a few active player. Each heroine has a unique ability and cards within their decks, but they each can do an Ultimate that they will almost always want to get off, if they can. Ultimates deal tons of damage, give bonus Experience and have powerful effects. 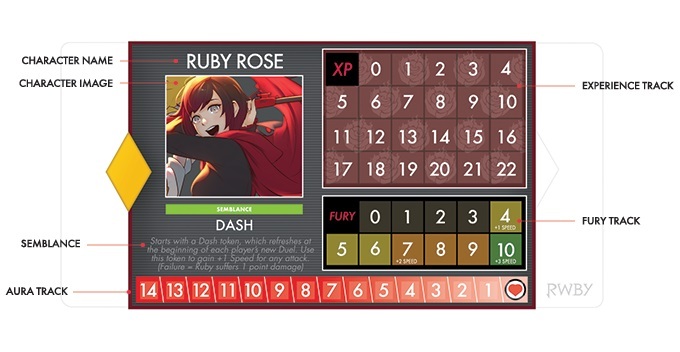 In RWBY: Combat Ready, players can gain experience and level up their heroine, by upgrading to more powerful cards within their deck. The game comes with rules to create your own scenario if you want to just jump in with some friends. But it also gives rules for a campaign style of set up, which follows the players through a series of scenarios, but allowing for character progression throughout. So pick your flavor!